Wuhan, April 14, 2017. The Wuhan Biotechnology Industry Base held a cervical cytology duel between artificial intelligence and experts in the field. Five of China’s leading cytopathologists faced off with the Landing Cyto System, an automated and intelligent DNA cytometry system, in a live cervical cytology reading and diagnosis competition. 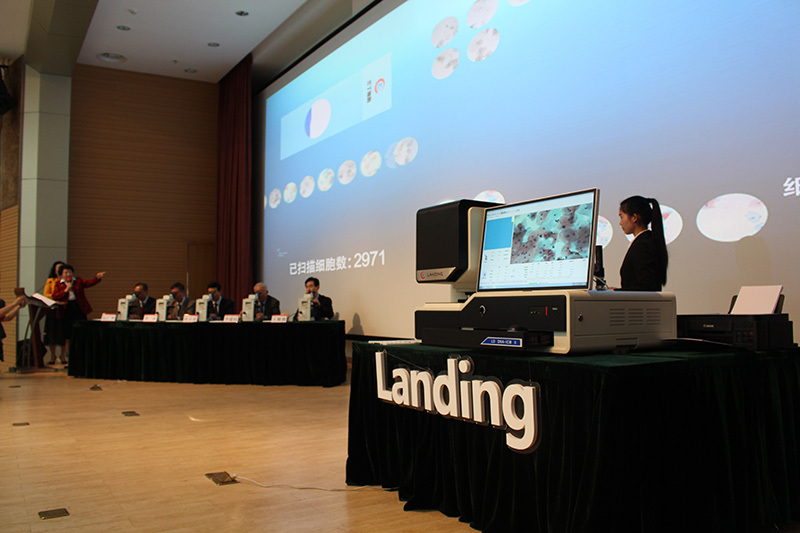 Under the supervision of a judge and hundreds of on-site spectators, the artificial intelligence of the Landing Cyto System was able to produce the same results as the five experts. The Landing Cyto System has been used to perform cervical cancer screening for millions of women since 2001, and has been continually learning from these cases to improve its pre-cancer cell detection algorithms. By now, Landing has amassed the clinical data to make it a world leader in applying artificial intelligence to the screening and diagnosis of cancer. The technology has been approved for clinical use in China and the European Union, and has class I FDA clearance, allowing it to be used for research in the United States. It is currently used in over 300 hospitals and laboratories around China, and is expected to enter the international market this year.